I have found nothing that goes as well in a veggie burger as this, the best burger sauce. The burger sauce in general is not something that I’d come across until recently – growing up making burgers at home, it wasn’t something that was ever mentioned, let alone used. I heard about burger sauce through Facebook, seeing various cooking videos using burger sauce as an ingredient, and then hearing about friends raving about how good it was. 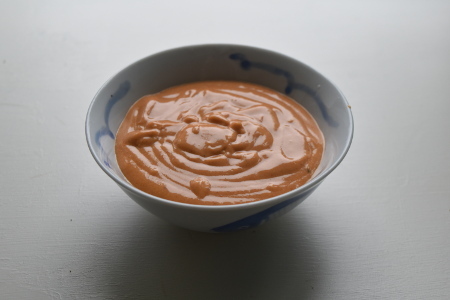 After doing a little bit of research, I realised that the burger sauce is very similar to the Marie Rose sauce that I grew up with – a mixture of mayonnaise and tomato ketchup with a few different seasonings. 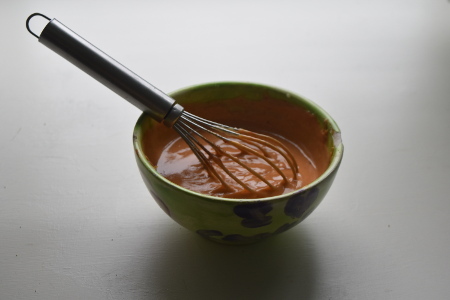 Now this burger sauce recipe takes everything I love about a good Marie Rose sauce, and adds a couple of extra flavours to make it into an especially tasty burger sauce. I must admit that I do like my food to have a kick, so I put a good teaspoon of cayenne pepper in; of course you can make the sauce milder by reducing the amount of cayenne, or even by omitting it all together. That said, as far as I'm concerned, it's not the best burger sauce recipe unless it's got a bit of spice! It's worth saying that this burger sauce goes AMAZINGLY well with my Butter Bean and Sweetcorn burgers - the tangy acidity of the sauce complements and balances out the sweetness of the corn. Mix all ingredients together in a bowl – I find whisking very efficient, which also keeps the sauce light and fluffy. Taste, and add salt and pepper as you wish. That’s it. The best burger sauce is also a very easy burger sauce! 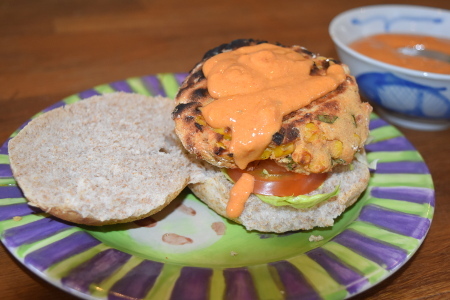 Of course, you can make this all from scratch – I’ll update this page when I’ve perfected my tomato ketchup recipe so that you can have the entire Best Burger Sauce recipe from scratch here. I believe that a homemade burger sauce should be as truly homemade as possible! Until then, you can use my Simple Vegan Mayonnaise recipe for the mayo base of the burger sauce, before referring to this recipe.